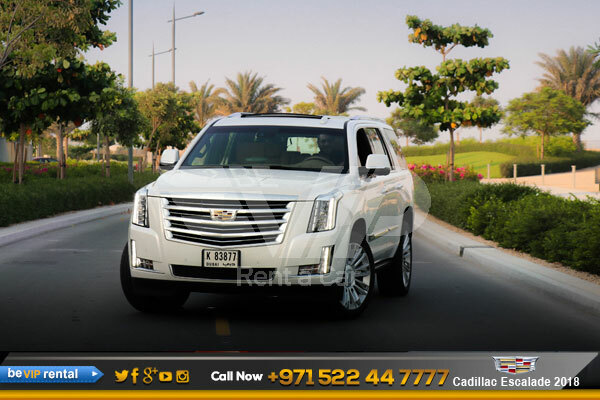 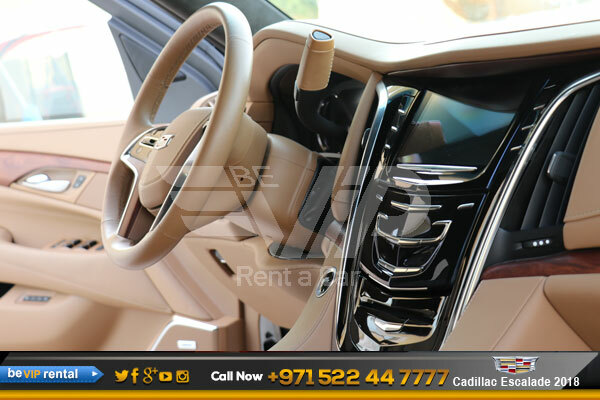 Rent a Cadillac Escalade 2018 in Dubai at the lowest rental rates. 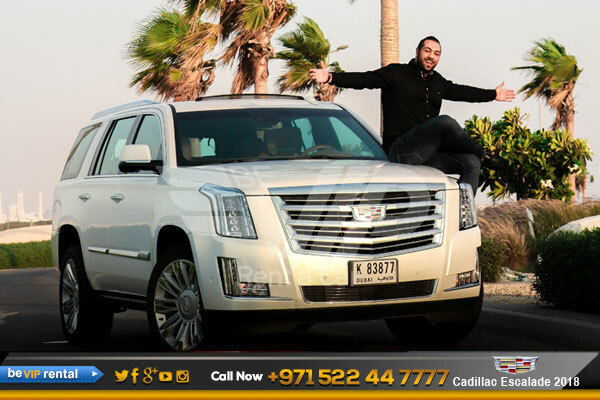 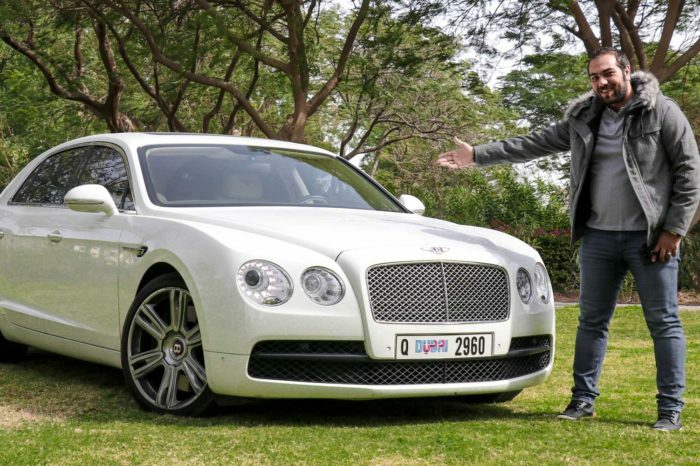 Be VIP Luxury car Rental in Dubai has the newest Cadillac Escalade available for rent with low miles and latest models. 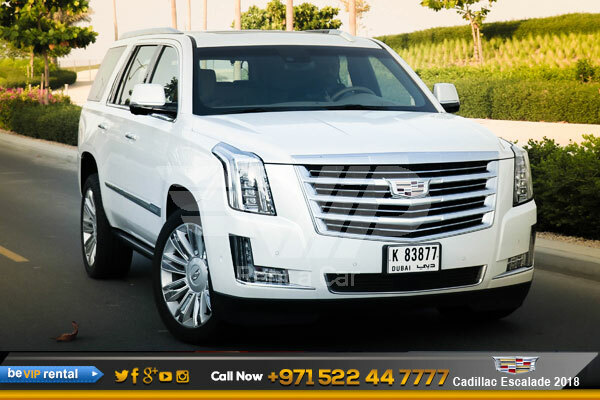 Cadillac Escalade 2018 comes with Iconic design, innovative tech and craftsmanship elevated to a higher degree and Automatic Parking Assist automatically steers your vehicle, moving at idle speed, into a detected parallel or perpendicular parking spot, while the driver brakes and selects the appropriate gear. 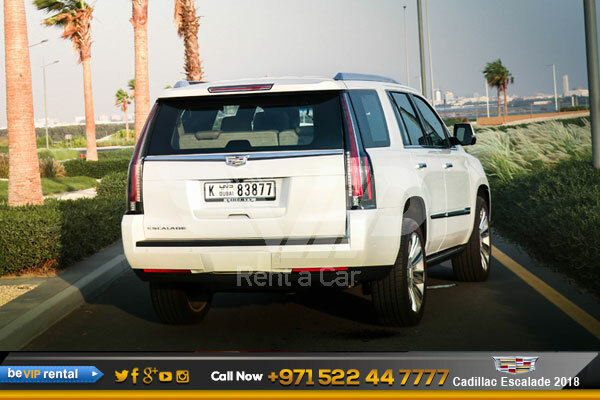 Automatic Parking Assist automatically steers your vehicle, moving at idle speed, into a detected parallel or perpendicular parking spot, while the driver brakes and selects the appropriate gear.